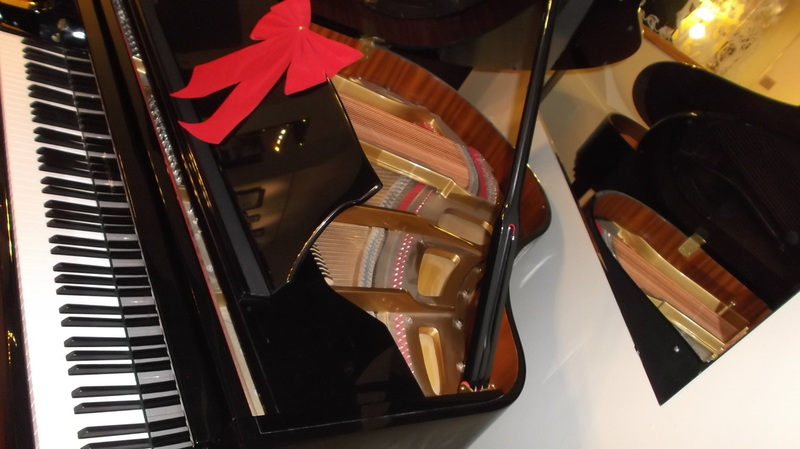 Suzuki Baby Grand, Polished Ebony, Like New! SOLD! This piano is just like new. Hardly ever played, one owner, the polished ebony finish is in great condition! Sounds and plays fine! For this price, a real bargain! It is a real baby grand, 5' in length. All brass castors and pedals and hinges are in perfect condition. Comes with matching, padded bench with music storage. Don't let this one slip away!